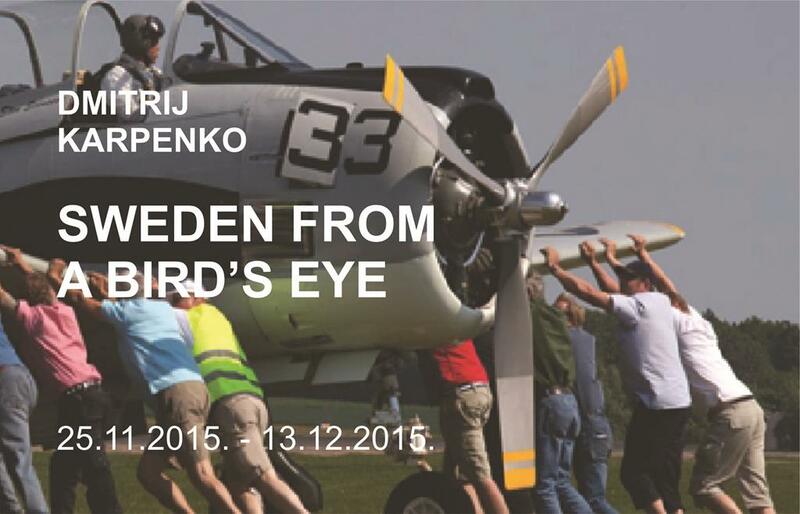 The photo exhibition “Sweden from the Bird’s-Eye View” by the Swedish photographer Dmitrijs Karpenko. The exhibition shows photos of the Swedish capital Stockholm and the region of Melar Lake. Dmitrijs Karpenko lives and works in Sweden since the 1980-s already. Three years ago the photographer received a pilot’s certificate, and now he enthusiastically devotes himself to taking pictures of Stockholm and the nearest regions from the heights of his small aircraft Cessan. Rietumu banka has presented this photo exhibition to the Swedish embassy and now it travels round the cities and towns of Latvia. The exhibition was opened at Daugavpils Mark Rothko Art Center within the frame of Swedish days in Daugavpils.